Ashville 4 BD family home on 2 acres in the Panama school district is now available! 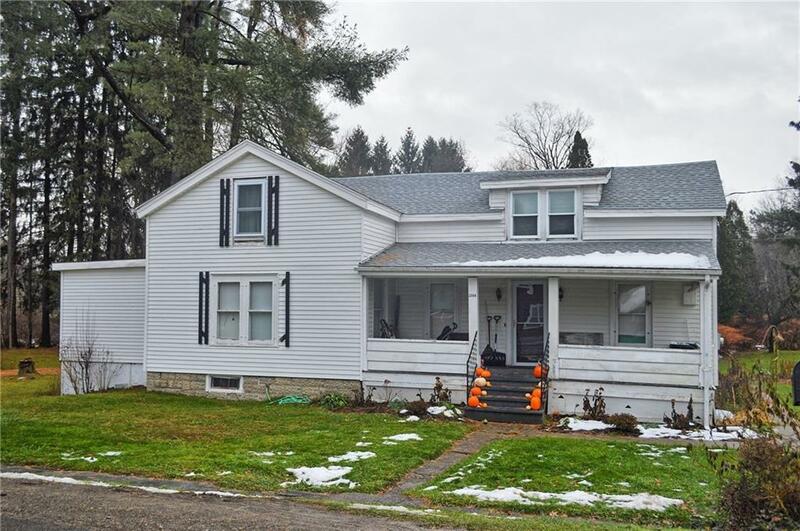 This classic home features large living room, formal dining room, kitchen, first floor bedroom, newly remodeled bath, bonus room (now the kid's library) on the first floor with the laundry room just off the kitchen. The second level has three more bedroom...nice sized master, and a large storage room! A stone walkway leads to the 22' x 62', 1.5 story barn has plenty of space with many possibilities. Recent improvements include: new roof, reinforcement of ceilings and insulation, screen doors. new outlets, bath and bedroom remodels, carpet, driveway, stone walkway to garage, exterior lights, flower beds, raspberry & blueberry bushes, 2 trees, platform in barn.